What if we had a friend who understood our intent and desires so beautifully that they were a constant companion in helping achieve our goals? I’d like to introduce you to the Universal Butler! The Universal Manager - a bit impersonal? Those of you familiar with Law of Attraction authors Esther and Jerry Hicks will have heard of an idea they share called the Universal Manager. In Ask and it is Given they write about this principle. In essence, they’re talking about how under the Law of Attraction the Universe is like the CEO of a large conglomerate. You are the owner of that company and employ this effective manager to organise the business of your life. The manager hears all your wishes and takes prompt action to deliver the results you seek. The burden of how to achieve these things is taken from your shoulders, and you are able to take fun action as you are inspired. The key here is to relax and trust. So, whenever you get an idea about something, you express it to your manager, who says, “I’ll take care of that right away.” And he does. Efficiently. Effectively. Precisely. Just the way you like it. This concept has sounded nice in theory to me, but always left me feeling a bit cold. After all . . .
How many people have experience in running a large company? There’s an emotional disconnect in this idea. The last time I checked emotions were right at the heart of the law of attraction. The Hicks suggest that this process is best used when a person is between frustration and anger on the Emotional Guidance System. When we feel like we’re out of the Vortex (the emotions that are above contentment on the same scale) it can feel hard to delegate to an imaginary person. This process the Hicks share is powerful when we can put trust in the Universe. But that’s tricky to do when we’re not feeling relaxed in ourselves and the connection feels impersonal. My development of this approach is to personalise the Universe into a kindly and friendly butler who is loyal and caring. He easily shares powerful wisdom that I know I can rely on. 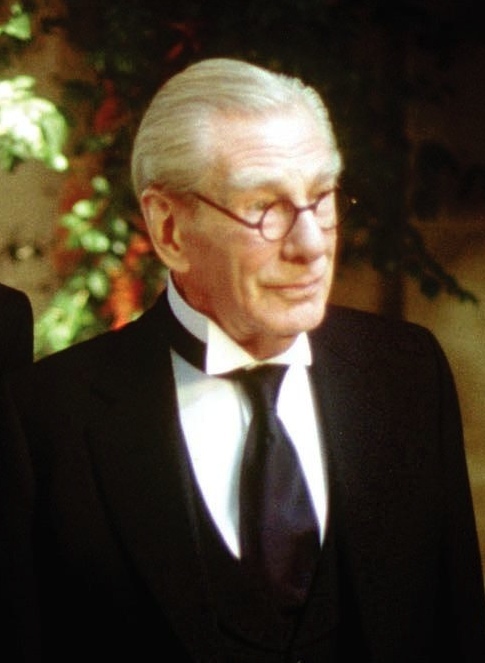 This character reminds me of Alfred from the Batman franchise. Alfred knew everything about his master’s business, was a dab hand at being in the right place at the right time, and engineered neat solutions. In turn there was mutual respect and warmth on the part of his master, Bruce Wayne. And the beauty in this relationship is that Bruce was already a wealthy man – isn’t this an affirmation of the ease that this process speaks of when it comes to money? For me, this process is for use when you are already in your Vortex. It’s an affirmation of the wise loving and appreciative-of-life individual that you are. And so it draws more of the same to you. It’s a reminder of the powerful being that you are – just like Batman there’s is a compassionate power within that is only brought to bear when it is required, and not from a sense of excess or showiness. It’s a power that is coupled with wisdom. I chose a Universal Butler as an expression of this idea because I've fond memories of Saturday mornings as a child spent watching re-runs of the actor Adam West having some superhero fun. You may have a different idea about how to personalise this figure you can easily trust, so play with the idea to suit your outlook. Healthy in Mind viewpoint: It’s powerful knowing that there is a Universe ready at hand to support you in your vision. Personalising that connection brings heart and fun to the experience so that it’s easier to trust in the Universe.